Attorney Jeff Killino and his law firm have found that a number of Managed Health Care Insurers deny valid claims because the treatment is “experimental” or “investigational” or “not medically necessary”. Denying treatment is one way that the Managed Health Care Industry makes a lot of money. Of the 73 million Americans on Medicaid, almost three-quarters of them are in managed care, meaning that the state pays health insurers fixed monthly amounts for each enrollee to cover the range of services required. Most of those who are denied treatment are low-income or high-risk patients—even pregnant women have been denied treatment because they sought medical help “out of network”, for example. Patients recovering from heart attacks have been denied cardiac treatment, some of which have resulted in wrongful death complaints. 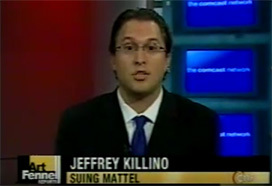 Killino and his firm are currently investigating medical claims that have been denied and they are filing bad faith insurance lawsuits against Managed Health Insurers. You have a right to hold the responsible party accountable in a court of law. Contact us today to learn how we can help you obtain the compensation you deserve. Research shows that one particular Insurer, Amerigroup, has previously denied low income, pregnant women from this type of expensive surgery. In 2008, Amerigroup settled charges of systematically declining services to low-income pregnant women in Illinois from 2001 to 2003 after a fired executive turned Whistleblower showed that Amerigroup had a policy of targeting healthy enrollees and specifically excluded pregnant women and others with expensive conditions. If Managed Health Care has denied or delayed treatment and your child has sustained any type of birth injury, you have a right to hold the responsible party accountable in a court of law. Jeffrey Killino is a nationally recognized child injury lawyer, and his law firm has worked hard to protect the rights of many injured kids and their families. They have a proven record of fighting for children’s safety nationwide. Pregnant women who have a high-risk pregnancy such as a multiple pregnancy, history of preterm delivery with past pregnancy, or current preterm labor. According to Amerigroup, “Emergency medical condition means that, in the case of a pregnant woman, serious jeopardy to the health of a woman or her unborn child”. Managed Health Care Insurers such as Anthem and Amerigroup, Aligon and Synermed require increasingly high co-pays, while they deny valid claims because the treatment is “experimental” or “investigational” or “not medically necessary”. If your health insurance company refuses to cover your treatment, you may want to seek legal help. In late 2018, an Oklahoma family took Aetna, their insurance provider to court. The Plaintiff’s doctors suggested proton therapy treatment to cure her cancer but Aetna denied the treatment, even though it was covered in her plan. The jury also learned that three doctors and three nurses who denied the claims received bonuses from Aetna. Sadly, she passed away. The jury awarded her estate and her husband more than $15 million in damages. An anonymous whistleblower in early 2018 sent a letter to health plans and government officials, urging them to investigate “illegal, unethical” conduct at Agilon. According to the Los Angeles Times. “Senior management delays treatments for cancer patients without any regard of patient’s well-being, to save their dollars,” the whistleblower wrote in a two-page letter reviewed by Kaiser Health News. “They brag about how profitable we are. According to one Plaintiff, Insurance giant Health Net routinely and illegally denies patients’ claims to important, and sometimes life-saving, medical treatments, according to a lawsuit filed back in 2012. The plaintiff suffered an extremely rare and aggressive form of prostate cancer and he needed pre-authorization from Health Net for a procedure believed by his doctor to save his life. But Health Net denied the procedure as not medically necessary and unreasonable or contrary to community medical standards. According to the lawsuit, it continually failed to provide an explanation of its denial to the patient. Further, the complaint alleges that Health Net systemically refuses legitimate patient claims by employing its own definition and set of criteria for “medical necessity,” violating well-established standards set forth by California law. Aeta, one of the largest insurance companies in the United States, has been in the news lately. A former medical director from the insurance company admitted under oath that he never actually looked at medical records or researched the condition an insured patient was seeking treatment for. Still, Aetna denied the patient’s insurance claims, saying that the procedures were not medically necessary. Ultimately, this case went to court, with the patient suing for bad faith insurance denial. If you are unable to get pre-approval for medical treatment and if you cannot pay out-of-pocket for the procedures, your condition could worsen. In some cases, this can lead to unnecessary pain and suffering, and financial complications—perhaps you are forced to miss work or lose your job. Denied Managed Health Care may lead to wrongful death. (For the death of a loved one, you may be entitled to compensation for their loss, suffering, and other expenses. Read your health care policy, including the fine print. Even though approved by the FDA or recommended by your doctor, the insurer may say there is insufficient proof demonstrating that certain treatments are safe and effective for their intended use, making them investigational or experimental and not a covered medical benefit. Health Insurers often deny claims without thoroughly vetting the science behind the treatment. But your insurer must provide reasons for denying your claim or not paying your medical bill. It must also include the doctor they used and its guidelines or basis for the denial. Under this language, treatments that are FDA-approved and generally accepted in the medical profession as safe and effective should not be denied as investigational or experimental. Other studies suggest that these coverage denials disproportionately affect women and minorities. If your treatment has been denied on the basis that it is “investigational” or “experimental”, ” “not medically necessary”, “no medical literature to show it is effective”, and other, similar reasons, it is crucial that you take action ASAP. Often the insurance company has made the wrong decision. You always have the option to appeal the health insurer’s decision. As well, a denial can prolong needed treatment or surgery that can be life altering or even cause death.